School funding campaigns continue with clear messages to Parliament that school funding is still in crisis. MPs from all parties have been invited to meet to discuss the impact that the school funding crisis is having on education. The message is clear: although the DfE has pledged some more funding, it’s nowhere near enough. 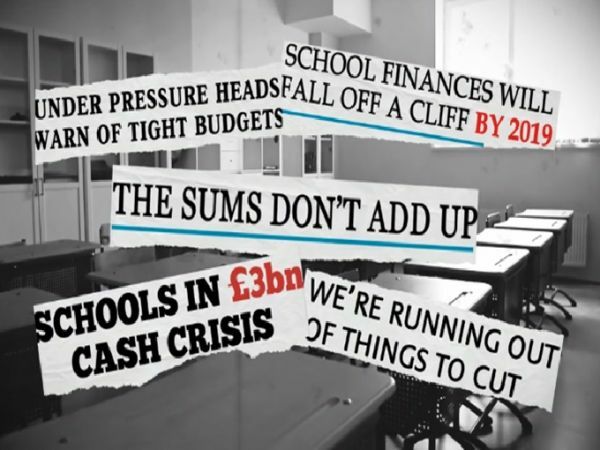 It is estimated that schools need at least an additional £2 billion a year, or up to £12 billion to the end of this Parliament, to reverse the real terms cuts that have hit school budgets since 2015. In July, the Secretary of State Justine Greening committed to providing an additional £1.3 billion: £416 million in 2018-19 and £884 million in 2019-20. It’s a step in the right direction, but nowhere near enough. The DfE has re-prioritised other budgets to get this additional funding to schools, but it is striking that the Treasury has not provided any funding to deal with the crisis. Campaigns earlier this year had a big impact to get the message through to the general public in the crucial run-up to the general election. These efforts resulted in 800,000 people saying that school funding was the leading factor when they were deciding who to vote for. The Treasury now needs to step up and provide the money that schools need so the government does not fail the children currently in education. Campaigns continue to remind the Treasury that school funding is still in crisis. Write to your MP explaining why there’s still a problem and informing them of the effect the funding crisis is having on your school. We have a standard template letter that you can adapt. Write to parents in your school(using our template letter) and let them know there’s still a problem. Send a tweet using the #TellTheChancellor hashtag with an example of how the funding crisis is having an effect on your school.